In August 2014, Google announced that HTTPS sites would receive a small boost in their rankings within Google Search. According to MOZ, at the time, less than 10% of websites that were ranking on page 1 were HTTPS websites. Since then, Google has been hard at work ensuring that migrating to HTTPS is a no-brainer and its efforts are definitely paying off. As shown in the graphic above, Google’s transparency reports now indicate more than 70% of browsing time is spent on HTTPS websites. So, it begs the question. Why did so many sites decide to migrate? The list of sites that migrated include many large and complex websites like Wikipedia in the case of which migration is especially difficult and a risky business proposition. By migrating to HTTPS, one can improve the security of the web and slightly boost their search rankings. However, the largest motivation for site owners are the user experience changes rolling out since January 2017 on the world’s most popular browser, Google Chrome. Some non-HTTPS pages, such as those that have forms for passwords and credit card numbers are now labelled as “Not Secure”. The screenshot to the left illustrates the label that is currently being shown to warn users against providing sensitive information on HTTP pages. In addition to protecting users from providing their information over insecure connections, Google Chrome also provides positive reinforcement on all secure HTTPS sites by labeling them as “Secure” as can be seen in the screen shot to the right. Such labeling is expected to create a significant change in users’ behavior towards both HTTP sites and HTTPS sites. 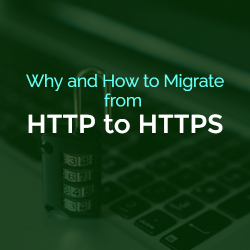 For this reason, I have been recommending even small business owners and bloggers migrate to HTTPS and am creating several resources for non-technical site owners to migrate from HTTP to HTTPS. 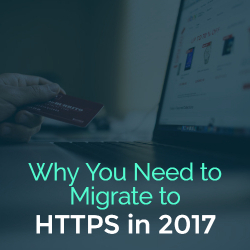 While you may be convinced about migrating your site to HTTPS, it is easier said than done. Properly migrating a site from HTTP to HTTPS can be challenging even for an experienced web developer and the effort required is often underestimated. For the simplest of sites, the migration involves installation of an SSL Certificate and effectively a domain name change. Most sites owners will need to take additional steps to properly migrate their sites and may need to resolve issues after the migration. Errors such as the mixed content error are particularly common, yet, may impact only select pages on your site and go unnoticed. Other common issues include loss of social media share counts and malfunction of third party plugins. While Google provides resources to help web developers migrate sites to HTTPS and resolve the issues that may arise, it is still difficult for less technical site owners to understand and implement Google’s recommendations. Further, there is a risk of losing complete access to the site. For example, simply by using certain plugins like the Really Simple SSL Plugin without having a valid SSL certificate can cause you to lose access to your site. Therefore, I do not recommend attempting to migrate to HTTPS without a trustworthy guide. Recognizing the challenges faced by bloggers, online entrepreneurs and small business owners, I provide a solution for site owners of all technical levels to migrate their sites. On one hand, do it yourselfers can follow the free video series on Bloggercasts.com to migrate their WordPress sites. On the other extreme, those unwilling to invest the time or having a more complex site can hire me to handle the entire migration. To explore both options, you can visit https://bloggercasts.com/migrate-to-https. Nikhil Agarwal is the founder of Bloggercasts.com. 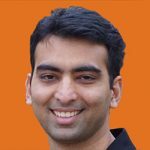 Nikhil creates video courses and other resources to help bloggers and online entrepreneurs grow their business. He is putting together a library of resources to help site owners migrate to HTTPS at https://bloggercasts.com/migrate-to-https. Your opinion on this matter is valid. Since the last time I moved to https, my Google ranking increased and the worth of my blog also shut up. I wish other bloggers will see the great and mighty benefits and move theirs too.